Austin Graham is a trusted client advisor for Matthews Multifamily Advisors™, a division of Matthews Real Estate Investment Services™. Austin and his team are devoted to utilizing their expertise in the disposition and acquisition of multifamily assets for clients nationwide, specifically, in the Southeast. Through keen market insight, extensive industry experience, and a robust investor network, Austin consistently exceeds client investment goals. 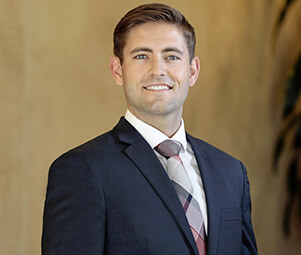 Austin redefines expectations through unwavering loyalty and commitment to the interests of his clients, resulting in an unparalleled agency experience.